Sports Silat Academy's instructors and trainers are the crème de la crème. They are World and National Silat champions, and they have been hand-picked and trained to run the programmes by the founder, Muhammad Imran himself. SSA’s set of programmes is the brainchild of Muhammad Imran and his dynamic team, and they have been formulated and planned to suit the students’ needs and to facilitate their learning. With many years of experience in the field, SSA instructors are the elites in the Silat world. CEO and Founder. Coach Imran is also a three-time World Silat Champion (2000, 2004, 2007), and a Gold Medalist in the 2005 SEA Games. 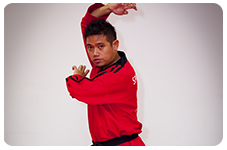 He has over 24 international Silat championship titles and awards. Coach Imran oversees the running of the entire academy. Academy and Coaches’ Manager. Coach Fadhli is in-charge of the instructors and he leads the classes at the academy. 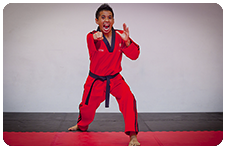 He is also a former national Silat champion and athlete who is trained in Mixed Martial Arts. Main Artistic Silat Coach. Coach Rashid is in-charge of teaching artistic Silat. He is also a former national athlete who has represented the country in the SEA Games. Artistic Silat and Defence Silat Coach. 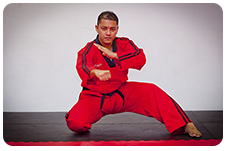 Coach Riduan has been involved in Silat for over 20 years. 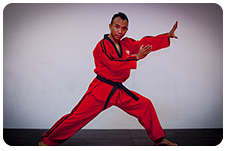 He is very experienced in teaching and practicing artistic and self-defence Silat. 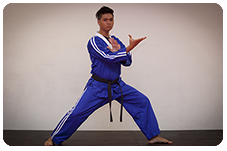 Coach Haikal is a Junior Instructor with SSA. 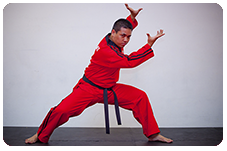 He is a former SSA athlete who has excelled in his pursuit of Silat. Coach Haikal has been groomed by the World Champion (Coach Imran) himself and is one of SSA‘s finest instructors. Coach Haikal will be assisting the main instructor in conducting the Tiny and Little Rangers programmes. Coach Subhi is a national athlete whose passion in Silat, experiences in the martial arts scene and current involvement in the athletics arena makes him an ideal candidate to train our Silat warriors. Coach Shafiq is a Junior Instructor. 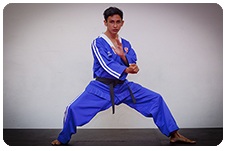 He is a former SSA athlete whose pursuit of excellence in Silat has made him a Junior Instructor with the academy. Coach Shafiq has been trained by the World Champion (Coach Imran) himself. His strong sense of athletism and perseverence makes him an invaluable asset to SSA. Coach Shafiq will be assisting with the orientation programmes for new students.